Following example shows in an impressive way how science uses one of the numerous special functions of the ProfiLux: The dynamic setpoint control. The average temperatures increase, more and more carbon dioxide dissolves in the water and lets the pH-value decrease, to mention just a few consequences for the seas. The GEOMAR Helmholtz Centre for Ocean Research Kiel examines the long-term effects for the ecosystem in 12 specially constructed experiment containers, the so-called Benthocosms. In each container is a typical biocoenosis, consisting of bladder fucus, crabs, shells and some other organisms. 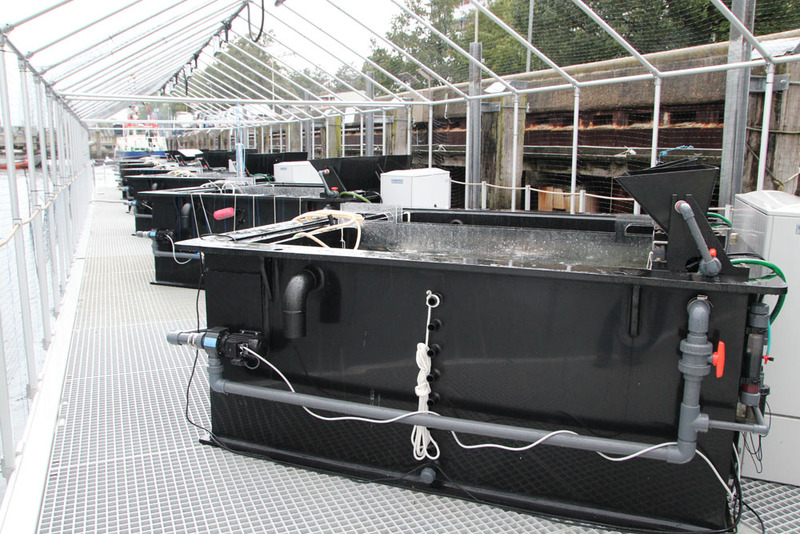 The scientists expose these biocoenoses to changed environment conditions. In one experiment the actual temperature and pH-value of the Kiel Fjord are measured and the forecasted changes for the temperature and the pH-value for 2100 are added up, then these values are simulated in the Benthocosms. In another experiment heatwaves of various frequency and intensity are simulated. Often the experiment conditions are varied in the several Benthocosms in order to be able to verify and compare the results later, some of the Benthocosms are operated under normal conditions as a control group. 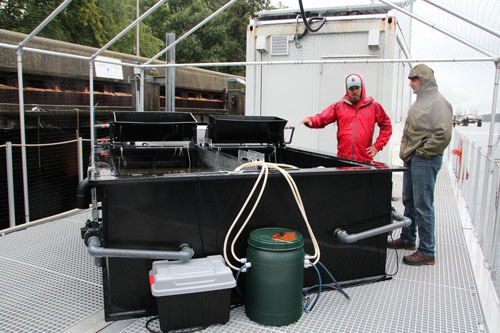 During these experiments the biologists can observe how the spectrum of the species change and how the ecosystem services in the biocoenoses are shifted. The water in the benthocosms is brought to the correct temperature with a sophisticated and precise cool- and heat-system: Cooling is managed with cold sea water out of deeper regions using a heat exchanger and with compressor chillers. The pH-value is varied by adding CO2. For measurement and controlling several ProfiLux aquarium controller systems from GHL Advanced Technology are used. The controllers have manifold tasks in these experiments, they measure water parameters, control pumps, solenoids and headers, and much more. 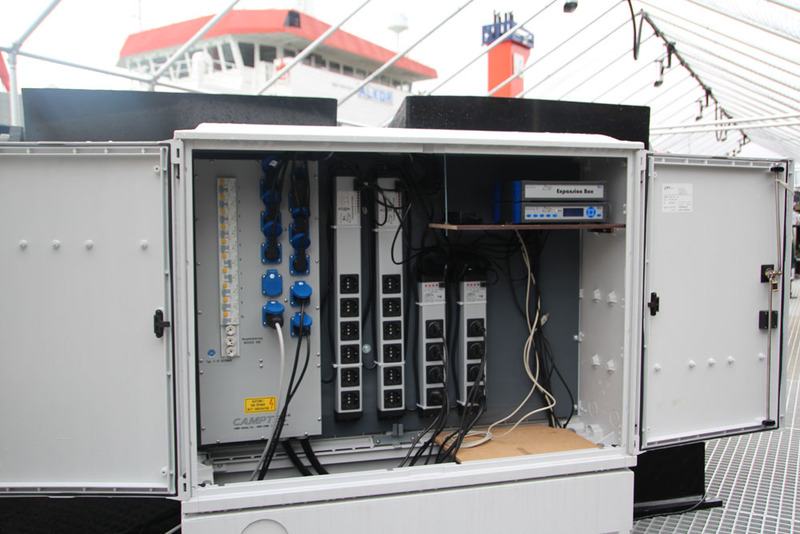 The controllers are connected over a secure bus system (PAB: ProfiLux Aquatic Bus) to share data and to synchronize. The scientists decided for the ProfiLux system due to the reliability, robustness and precision. They wanted a future-proof system to achieve the required flexibility. For the implementation of these experiments the software of the aquarium controllers had been extended by GHL, with the “Dynamic Nominal Value Control”, for instance, measured values (of the water of the Kiel Fjord in this case) can be modified with an offset and be used as a nominal value. 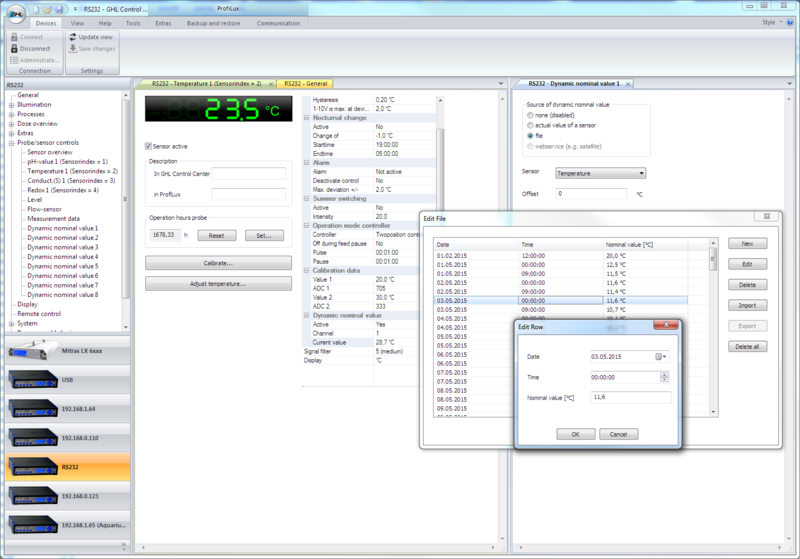 Additionally the simulation of seasonal water parameters over a certain period is possible, the run can be imported from other software, like Excel. With the PC-software GHL Control Center the scientists can have a quick overview at any time, change settings, check measurement readings or use special functions, like setting up the next heat wave in the Benthocosms. 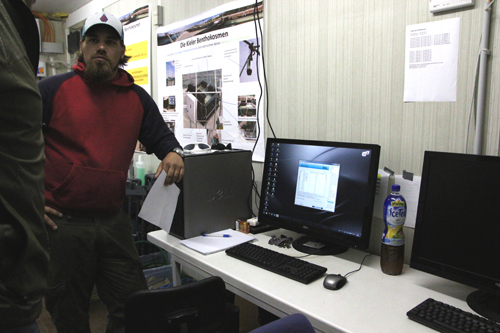 The supervisor of these experiments, Mr. Buchholz, discussing here details of the set-up with the owner and chief developer of GHL, Mr. Gross. There was also an article about this experiment in Reef Builders.